What is a prepaid reloadable credit card? A prepaid reloadable credit card is similar to a credit card, but it is not the same thing. When you use prepaid cards, you spend your own money. By contrast, when you use a traditional credit card, you build up a debt balance that you owe and must repay. Some people may use the term prepaid reloadable credit card interchangeably with a prepaid reloadable debit card because they can be used to make purchases online or in retail stores where credit cards are accepted and may be branded as Visa, Mastercard, Discover, or American Express. Prepaid reloadable cards are among the fastest growing forms of non-cash payments, according to a study by the Federal Reserve. Between 2006 and 2009, the Federal Reserve found that the use of prepaid cards grew by more than 20 percent, and their use continues to climb. How does a prepaid reloadable credit card work? With a prepaid reloadable credit card, the card is not linked to a checking account or to a credit line. Instead, the purchaser of the card preloads it with funds. Every purchase that is made with the card is subtracted from the balance on the card. When the funds are depleted, the card’s owner can reload it with additional funds. 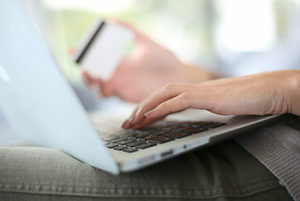 The cards can be used to make purchases on the internet or at stores. Some cards are co-branded with specific retailers and can only be used at those locations. Others are able to be used anywhere that accepts major credit cards and debit cards. Is there a difference between a prepaid reloadable credit card and a prepaid refillable credit card? Another common term that is used interchangeably with a prepaid reloadable credit card or a prepaid debit card is a prepaid refillable credit card. While the terms differ, they all refer to prepaid cards that are loaded with funds by the purchasers. One distinction is a secured business credit card. These are credit cards that do charge interest and annual fees and require credit checks. 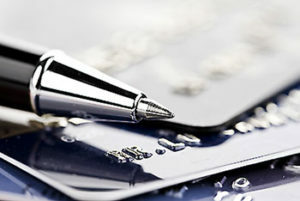 Secured credit cards for businesses are used by businesses to build credit. Secured business credit cards have limits that are established by the card issuers. The businesses must deposit the money up to the established limit. Instead of the purchases being subtracted from the balance, however, the balance simply secures the debt that the business incurs with the card. Why do businesses use prepaid reloadable credit cards? Businesses might choose to use prepaid reloadable cards for several reasons. 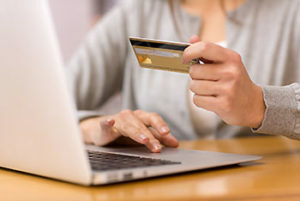 They might have limited or poor credit histories that prevent them from getting unsecured credit cards. Businesses may also use the cards because of wanting to avoid adding to their business’s debt. Using prepaid cards helps businesses to control their expenses and to keep the spending in line with their budgets. Businesses may also use the cards so that their employees are able to make work-related purchases without having to be reimbursed. Who can benefit the most from using a prepaid reloadable credit card? Businesses that are small or that have not been operating for very long may benefit the most by using prepaid cards. These two groups often have trouble securing credit because of limited credit histories but still need the flexibility and control that cards can offer. The 2016 Small Business Credit Survey by the Federal Reserve found that 67 percent of small businesses with revenues of less than $1 million were not approved for all of the financing that they sought. Among those who were not approved, 34 percent had low credit scores, and 32 percent had insufficient credit histories. Businesses can avoid these issues by using prepaid reloadable cards instead. Prepaid reloadable debit cards can make expense management and tracking much simpler for small businesses. Businesses can deposit money into their accounts and fund the cards with the amount of money that they choose. They can then give individual employees cards to use to make purchases with spending limits that they select. For example, a plumbing company might give cards to plumbers who have to drive to their customers’ homes that can be used to purchase gasoline and needed parts from specific gas stations. The company could choose how much money to place on the cards, and the plumbers would not be able to spend more than the amount that was available to them or to use them to make purchases elsewhere. How can using a prepaid reloadable debit card help reduce fraud? 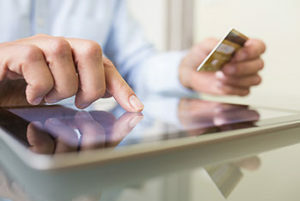 Fraud is a pervasive problem for both consumers and businesses. According to the 2018 Global Fraud Report by Experian, 63 percent of the businesses that were surveyed reported experiencing fraud losses in the past 12 months that were either the same amount or that were greater than previously. Among business executives, 45 percent reported increased concerns about fraud. Using prepaid cards can help to reduce fraud. When they are used to make purchases online, the cards do not give access to your accounts to hackers and are not traceable to your business. You can also control the amount of money that you fund each card with so that you can easily identify problematic spending by your employees if it occurs. Why are so many people using prepaid reloadable debit cards? According to Nasdaq, 56 percent of adults in the U.S. reported that they purchased prepaid cards in 2014, which was an increase from 47 percent in 2012. The popularity of prepaid cards has continued to grow as more people are embracing noncash forms of payment. There are several reasons why both businesses and consumers use prepaid cards. They can be used to control spending and to avoid going into debt. They are also more secure than credit cards when businesses and consumers need to make purchases online. Bento for Business is a top solution for businesses that are wanting to find business debit cards to give to their employees. The Bento for Business Visa debit card comes with spending controls that allow businesses to set individual spending limits and to choose the venues at which the cards can be used. Business owners can view the cards in real time from an online dashboard. If a card is lost or has been misused, it can be turned off with the click of a button. Your information is protected by 256-bit SSL encryption technology, and the deposits are FDIC-insured up to $250,000 through the Bancorp Bank; member FDIC. Bento offers a free 60-day trial so that you can try out the cards before you make a decision. To learn more, contact us at 866.220.8455.